Tropitone® Elance EZ SPAN™ Seating Collection features the exclusive EZ SPAN™ straps. EZ SPAN™ strap segment seating has the durability of the classic vinyl strap seating, but takes the design to a another level. Noted designer John Caldwell created two styles of segments, a ribbon design and a wave design, to add vibrance to the classic strap seating. The Elance EZ SPAN™ collection includes dining chairs, bar stools, and chaise lounges. 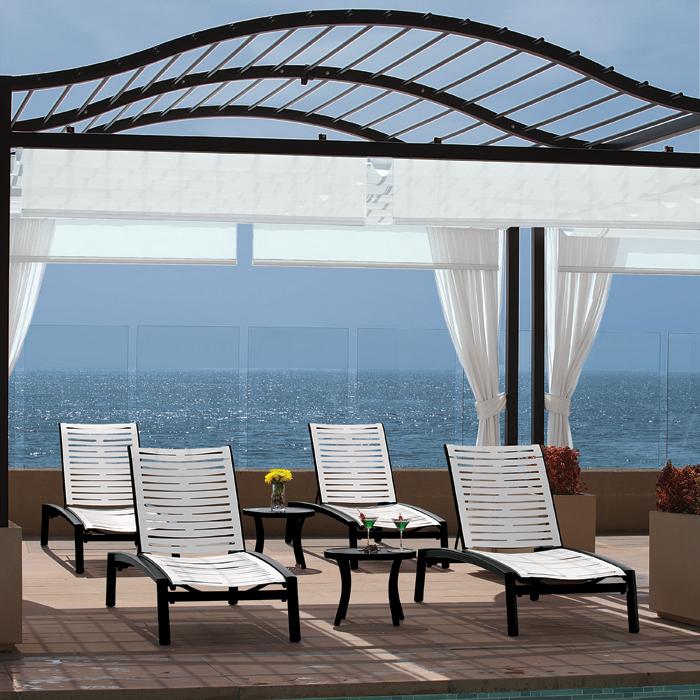 Choose from an array of frame finishes and segment colors to create a unique outdoor sanctuary of solace and comfort.